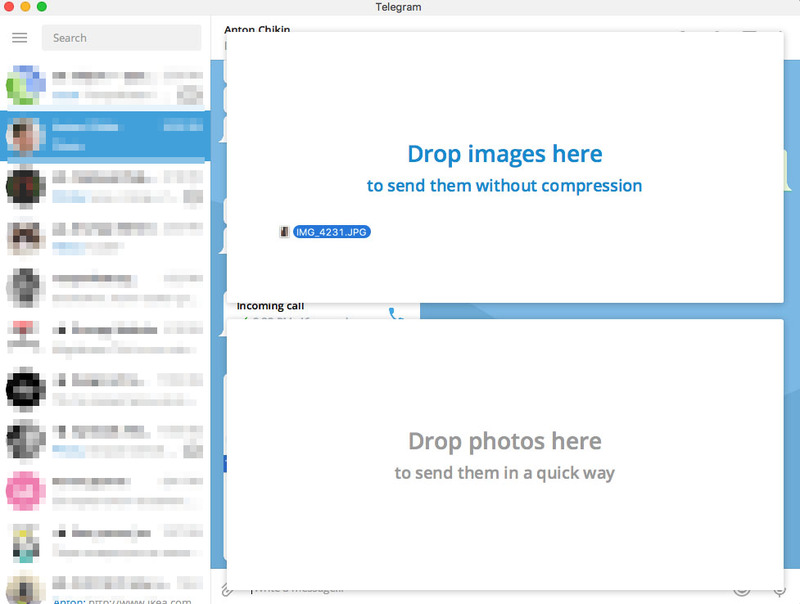 igrishaev: Going to drag and drop an image to a friend of mine in Telegram. Two huge panels appear obscuring everything. Drop images here, but photos there. What's the difference between an image and a photo I wonder? Every photo is an image, isn't it? Almost every image is a photo nowadays caught with your phone. So what do they want from me? There is enough empty room in each panel, at least they could put any tips there. Or add some logic on the server side by analyzing image's size, EXIF-tags or whatever else. But not asking me every time I'd like to share an image.